“Nature can surge from impossible conditions,” Jose Weslly Manrique said standing amid a partially cleared field around Carrie Furnace in Rankin. 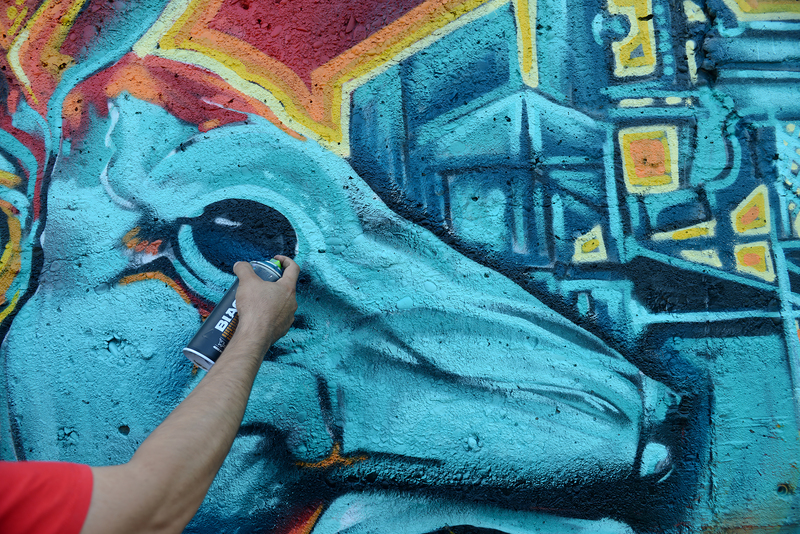 He was one of three graffiti artists from Leon, Mexico, who joined five other graffiti artists from Pittsburgh and Chicago to paint the Hemisphere Conversations Carrie Furnace Mural on a concrete retaining wall, now the site of a curated “gallery” of legal graffiti. 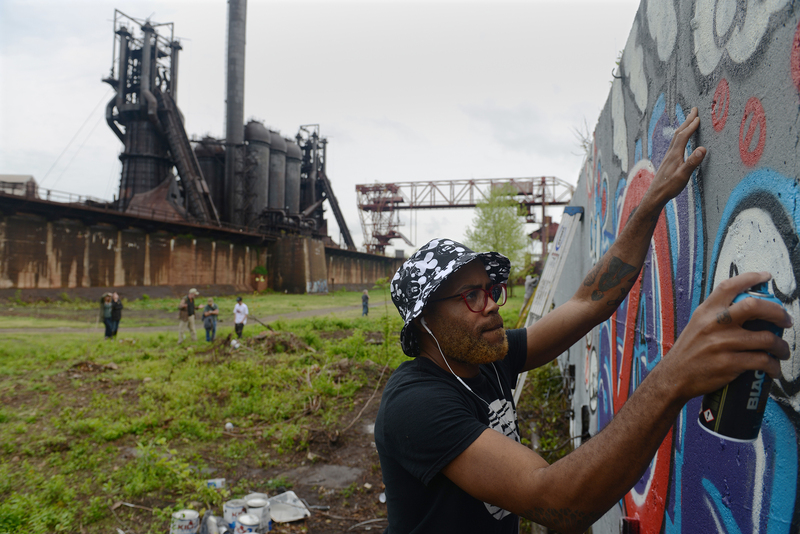 “I have never seen anything like Carrie Furnace,” said Mr. Manrique. Pittsburgh’s history is rooted in labor similar to the history of Leon, Mexico, although the factories in his hometown are smaller, according to Mr. Manrique. “Industries die, but art lives forever,” Stephanie Garland of Chicago said of the mural theme. 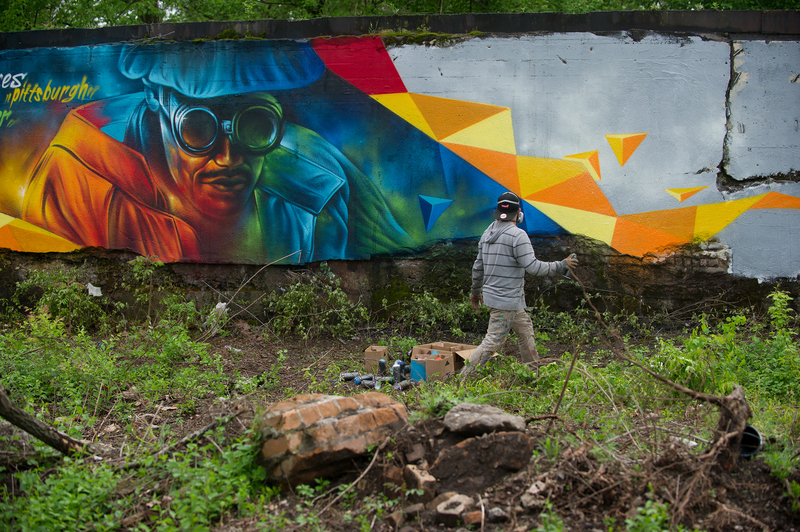 Graffiti artists incorporated the history of the site along with elements of the natural landscape into the mural. 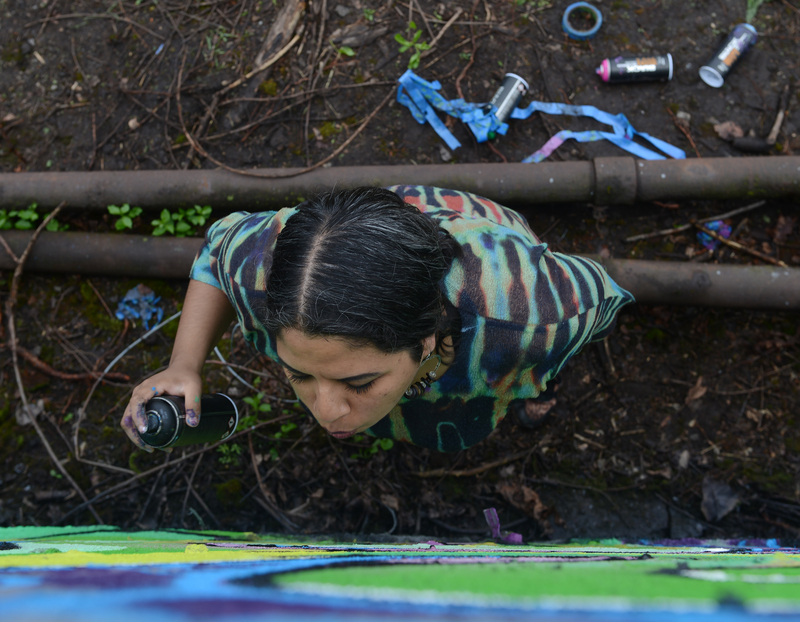 The mural is part of the Hemisphere Conversations Urban Arts Program organized by Caitlin Bruce, Oreen Cohen and Shane Pilster in collaboration with the University of Pittsburgh and Rivers of Steel Arts. Omar Ramirez of Leon, Mexico, wanted to create an image that was visible from a distance and full of bright colors. His piece “Steel Worker” was inspired by a 1955 photo by Life magazine photographer W. Eugene Smith that he had seen earlier in the week at the Heinz History Center. “I’m grateful to be able to interpret some of your culture … This history is impressive,” he said. 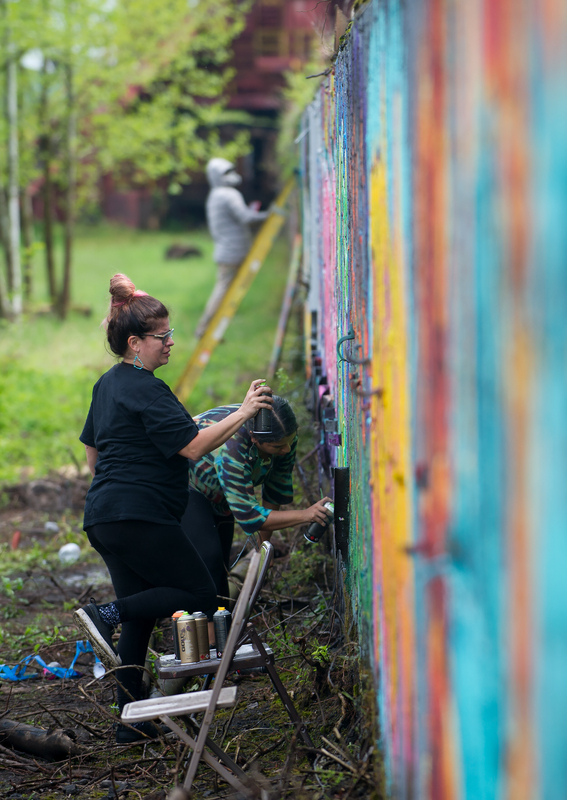 Stephanie Garland, left, of Chicago and Karina Soto of Leon, Mexico, work on their pieces of the Hemisphere Conversations Carrie Furnace Mural Saturday, April 29, 2017, at Carrie Furnace in Rankin. Garland, who has been painting for 25 years and goes by the name of “Stef Skills,” says her piece is about nature reclaiming an industrial site.